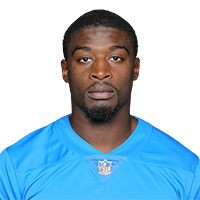 Thompson signed a reserve-future contract with the Lions on Wednesday, Tim Twentyman of the Lions' official site reports. Analysis: The deal will allow Thompson to begin working with the team following the start of the offseason program in mid-April. Thompson is still somewhat of a long shot to make the active roster, but he'll have the opportunity to showcase his talents throughout the summer. There are no videos available for Mark Thompson. Click here to view all videos.